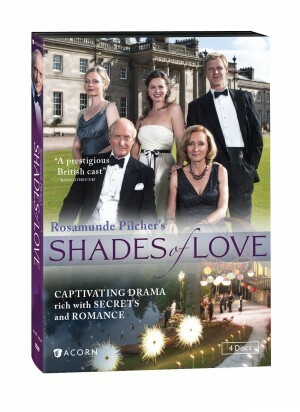 ROSAMUNDE PILCHER’S SHADES OF LOVE. (DVD Artwork). ©Acorn. The New Zealand crime drama “Harry” is available Tuesday, Aug. 25 on Blu-ray and DVD. 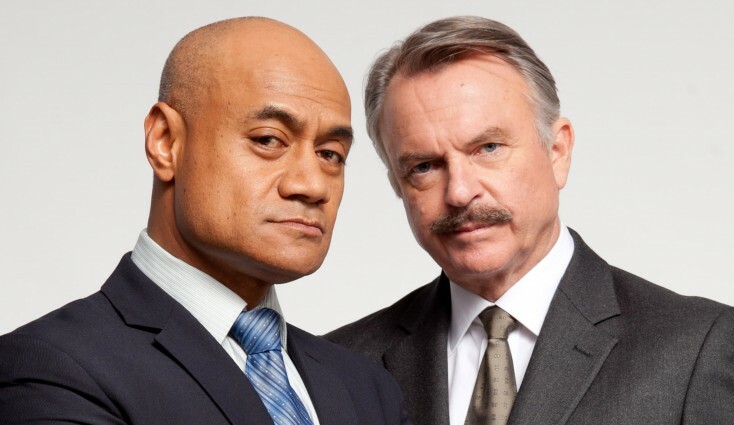 Oscar Kightley (“Sione’s Wedding”) and Sam Neill (“Jurassic Park”) star in the riveting drama from down under. Akin to the popular British TV series “Prime Suspect,” “Cracker” and “The Wire,” “Harry” is a six-part detective drama following the intense psychological journey of detective Harry Anglesea (Kightley) as he investigates a brutal murder and deals with the unexpected death of his wife. Neill plays Jim “Stocks” Stockton, his boss, who keeps Harry under his watchful eye. The DVD edition comes with two discs and includes a bonus photo gallery. It retails for $39.99 and includes six episodes on two discs. Available on DVD Tuesday, is the British drama “Shades of Love.” Charles Dance (“Game of Thrones”) stars in this adaptation of Rosamunde Pilcher’s popular romance novels. This sweeping four-part miniseries is filled with secrets, passion, and heartbreak. As Edmund Aird, Dance plays the lord of Balnaird House, one of the grandest estates in the Scottish Highlands. He and his American-born wife Virginia (Eleonore Weisgerber, “Inspecktor Rolle”) seem to have it all: wealth, beautiful children and a thriving family business. Just when everything seems to be on track, long-buried tensions arise to threaten the family’s happiness and the fate of their ancestral home. The all-star cast includes Eileen Atkins (“Doc Martin”), Harriet Walter (“Law & Order: U.K.”), Michael Brandon (“Mr. Selfridge”), and Rebecca Night (“Wuthering Heights”). The set includes four, feature-length episodes. An episode photo gallery is included. The box set retails for $59.99 on AcornOnline.com. Originally broadcast on the U.K.’s Channel 5, the series made its U.S. premiere this past June on Acorn TV, the premier British and international television streaming channel in North America. The high stakes action film “Big Game” is available on DVD and Blu-ray Tuesday. Directed and written by Jalmari Helander (“Rare Exports: A Christmas Tale”), the action drama stars Samuel L. Jackson (“Avengers: Age of Ultron”), Onni Tommila (“Rare Exports: A Christmas Tale”), Ray Stevenson (“Insurgent”), Victor Garber (Starz’ “Power”), Ted Levine (“Shutter Island”), with Felicity Huffman (“Transamerica”) and Jim Broadbent (“Cloud Atlas”). On the rugged countryside of Finland, a young thirteen-year-old (Tommila) embarks on a traditional quest to prove himself by spending 24 hours alone in the wild, armed with only a bow and arrow. After witnessing a spectacular crash, he discovers the escape pod from Air Force One, containing the President of the United States (Jackson). When they realize a group of kidnappers is hot on their trail with the intention of taking the president, this unlikely duo must escape their hunters as they search for the American Special Forces team sent out to find them. The title, from Anchor Bay Entertainment, will be available on DVD for an SRP of $22.98 and Blu-ray for an SRP of $26.99. Available Tuesday on Video on Demand (VOD) iTunes Tuesday is “Mateo,” which follows America’s most notorious gringo mariachi singer on his misadventures in Cuba. Directed by Aaron I. Naar, the film chronicles the life of Matthew Stoneman, who dreamed of pop stardom. Instead, he went to jail, learned Spanish, and emerged as “Mateo,” America’s first white mariachi singer. Mateo is on the brink of completing an album of original songs in Havana. But his estrangement from friends and family, his criminal past, and his love for Cuban women could derail him on his quest for fame. The documentary also is in theatrical release.